Supplier Quality Assessment - Incoming Inspection - Production Process Monitoring - Outgoing Inspection - Reliability and Safety Testing. Formation, Forming, Aging test, OCV Test, 100% X-ray inspection, Final Visual inspection, Packing. Short-circuit Test, Heating Test, Impact, Test, Drop Test, Nail Penetration Test, Projectile Test. 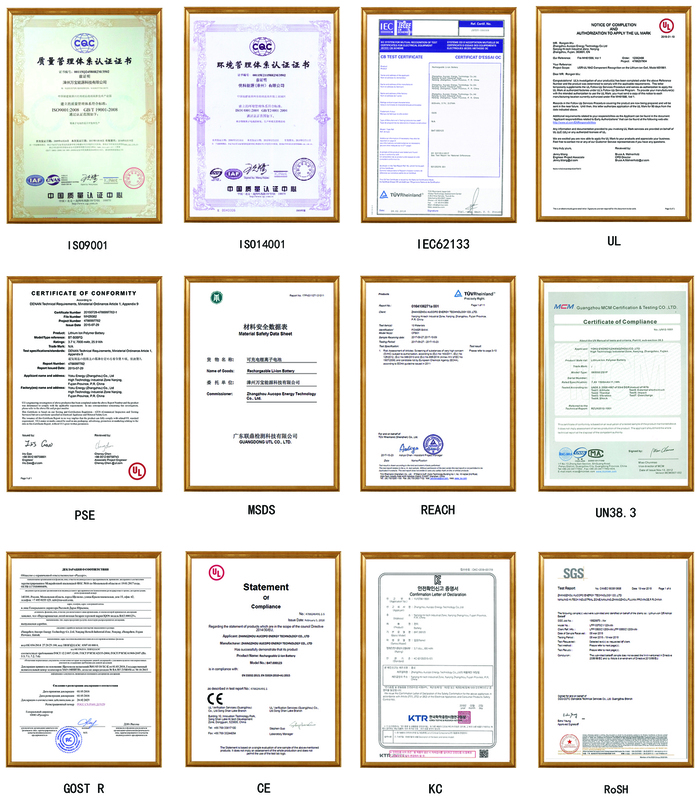 The products have reached international and passed international safety standards, including: UL 1642, IEC62133, KC, PSE, CE, and UN38.3. The products do not contain toxic heavy metals such as mercury and chromium, and meet the requirements of the RoHS and REACH.